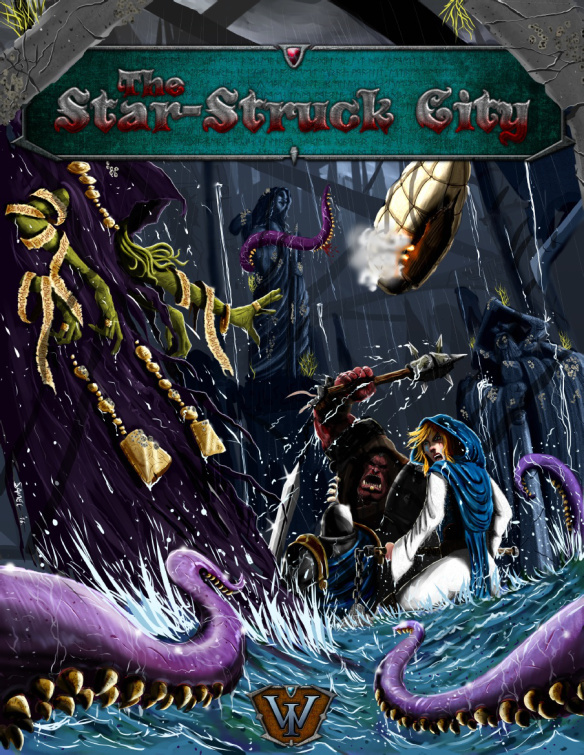 Ironwatch has been busy, not just with their magazine, but also with Star-Struck City, their own fantasy miniatures skirmish game. Namely, they've been working at making a deluxe edition. Everyone likes special and deluxe editions of things, and now you can get your own deluxe edition of the game. So, what makes it so deluxe? Well, the artwork has been updated by artist Boris Samec. There's been a bunch of custom minis and terrain photos as well to help inspire you to make your own game look as good as possible. But it's more than just pretty pictures that makes this version Deluxe. There's also been combing-over of the rules, particularly around the campaign portion, in order to make the game better than it's ever been. The fellows over at Ironwatch have also talked with their printers at Lulu to make sure the book (which you get at-cost, mind you), is as good-looking as possible. You can pick up your copy today.